"But God shows his love for us in that while we were still sinners, Christ died for us" (Romans 5:8). Cross and Heart Necklace made with genuine white sapphire gemstone in .925 sterling silver. Includes complimentary chain. 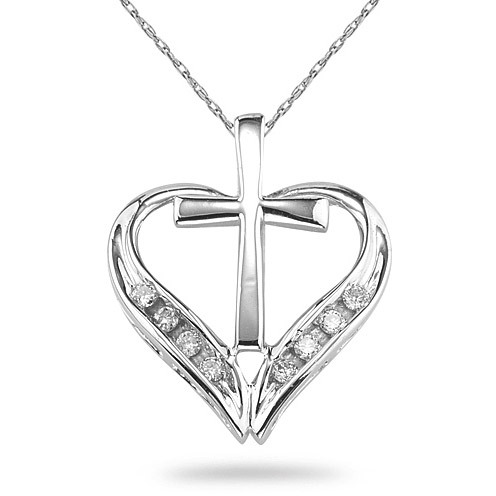 We guarantee our Cross and Heart Necklace in Sterling Silver to be high quality, authentic jewelry, as described above.